As a veteran and former military spouse, I know first-hand the unique challenges that you face when it's time to PCS. Sometimes you get your orders and have little or no notice to pick up your family and move across the country, or even across the world. No matter the situation or the timeframe, I've got you covered! 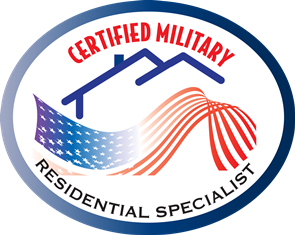 Whether you are moving to or away from Fort Campbell, I'm here to help. You've gotten your orders to Fort Campbell - now what? Call me, that's what! I'll work with you to do what it takes to meet your timeline, even in a crunch. Get preapproved to use your VA Loan. I have some great local lenders who can get you approved in just a few minutes so you can start looking for a home right away. Search homes and set up property alerts on your profile at www.JuanitaCharles.com . You'll receive emails of all of the new properties as soon as they hit the market. Whether you've got a house to sell or not, I can help. I have a large network of awesome real estate agents all over the country who are able to help you get set up at your new duty station. Just let me know where you're going and I'll get you in contact with my colleague who will take care of you once you get there. Need an agent at your new duty station, click here.